Click image to buy on Amazon! Attorney Hunter MacRae and Private Investigator Zoe Buchanan uncover lies and secrets for the clients of their law firm. He’s a shape shifter who can morph from man to cat and back on a whim. She’s a psychic who is reluctant to explore her full abilities. Somehow, they make business and friendship work. When Hunter’s father and family patriarch is found murdered, a long-kept dark secret is revealed and their easy lives change forever. Hunter must abandon his carefree lifestyle to lead a battle with a rival monstrous enemy. Among the wealthy and powerful on both sides of New York’s Hudson River, Hunter and Zoe face their own true natures in a fight for survival. The question is will they survive the Chimera bent on destroying the next leader of the MacRae family–Hunter. Neely Powell is the pseudonym for co-writers Leigh Neely and Jan Hamilton Powell. The best friends met when they both worked at a rock ‘n roll radio station in Chattanooga. It turned out their husbands were long-lost high school buddies, and Jan and Leigh were both writing romantic fiction in their spare time. A partnership was born. They tried writing fiction together for several years, but life and other adventures got in the way. Their friendship endured as they went on to individual careers. 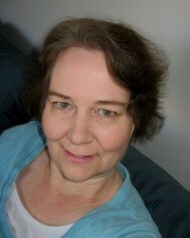 Writing as Celeste Hamilton, Jan published 24 romance novels for Silhouette and Avon Books. Her books appeared on the B. Dalton, Waldenbooks Romance, and USA Today bestseller lists before she left fiction for a career in corporate communications. Check out Neely Powell’s website! A young mother battles post-partum depression, marital troubles and addiction. Her weary mind plagued with horrible thoughts not her own, she decides to end it all. Suddenly, her mind and heart begin to race, her vision blurs and goes black. She awakes in a strange, dull, monochromatic blue world. Here, she comes face-to-face with the most beautiful and ugliest moments of her life, choosing those that she will lose forever, and those that are too precious to let go. In a world where many choose a living death, and no one is above suspicion, will her handsome Guide help her fight her way back to the beautiful life she left behind, or will she succumb to her ugliest urges and let her sweetest memories disappear into the blue? H.M. Jones lives in the beautiful PNW. She spends most of her time making sure her children are well rounded, open minded citizens of this world. The remainder of her time is spent writing, reading and visiting bookstores with her best friend, Mr. Jones. H.M. just released her debut novel, Monochrome, in Oct. 2013. She was a student of English literature for both of her B.A. and M.A. degrees. You’ll see her favourite authors peeking from the corners of her pages, if she did her job right. Check out H M Jones’ website here! Then a nameless man begins to appear in her dreams – a beautiful man in chains, who begs her to sing him free. Is he too dangerous and powerful to deal with, a threat to the man who loves her and to their world, or is he the key to solving the mysteries that threaten to tear the world apart? Visit Kyra Halland’s blog here!